I have tried to make a change in every part of my families life to be as healthy as possible. We've also tried to go natural and green in a lot of ways. Realistically, our pets are family too and I would never exclude them from anything else, So why wouldn't I try to move them into the same healthy lifestyle? They deserve to eat healthy and live long great lives too! 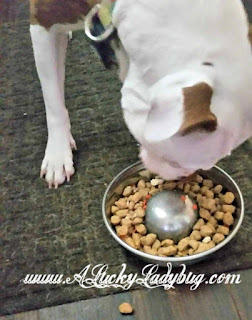 With a few of our pets aging or with joint issues, we have learned to transition them into a healthier lifestyle incorporating more natural foods into their diets. 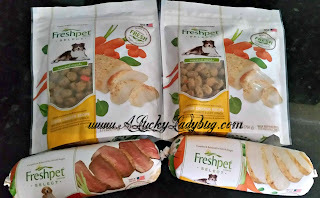 When I was asked to review a few of the products from Fresh Pet, I figured it would be something we could definitely try for our dogs and a great place/way to start making the change. 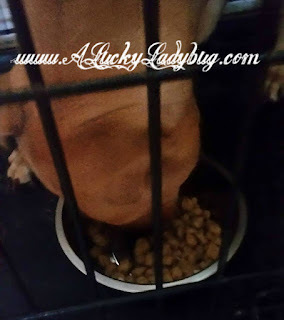 Even though I normally try to transition the dogs slowly when switching over to a new food, they were just too excited to do so this time around. I could not believe the reaction I saw when feeding them the Freshpet® Select Tender Chicken with Crisp Carrots + Leafy Spinach Dog Food Recipe. They literally each gobbled it up with no joke a smile on their face. 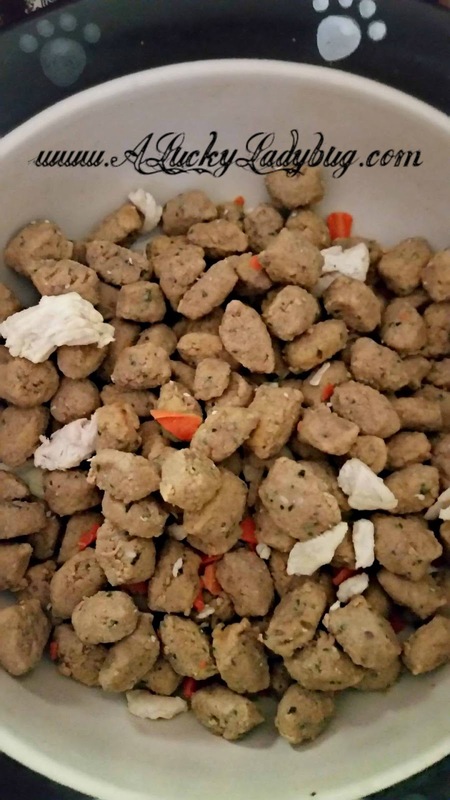 Not only did Capone, my old man with a sensitive stomach not puke but the other two seemed to handle this better than anything we've ever tried. My only complaint is the extremely high price even when paying for a fresh, high quality product. At $8/bag I could essentially find myself paying at least $320 every other week easily to feed my furry babies. I even calculated out the cost for my mother's teacup yorkie who is spoiled rotten and the cost (or the fact that it has to be used 7 days from opening before it's considered bad) is just not worth it. Most people and families would go poor trying to feed their pets and that just doesn't make it attainable for the every day consumer.